A Simple and easy to implement idea for reforming the issuer-paid model for credit ratings that accomplishes the goal of the Franken Amendment. Five years since the credit crisis, debates on how to reform the ratings process continue with no good solution or consensus in sight, even though there is general agreement about the conflict of interest inherent in the issuer-paid model which allows ratings-shopping by issuers, and the need for reform, especially for Structured Finance securities. The Franken Amendment to the Dodd-Frank Act specifies a solution to be used if the SEC cannot find a better alternative, which proposes creating a board, overseen by the SEC, which will assign rating agencies to provide initial ratings for structured debt securities. Even though the goal of eliminating the conflicts arising from issuers selecting the agencies is desirable, the proposal has not garnered support from many industry participants as a practical solution. This article suggests an alternative reform which is simpler and easier to implement, and achieves the same basic goal. The basic problem, especially in structured finance (and especially in securitization of mortgage and other debt), is that the issuers or their underwriters select the agencies that will rate a structured debt issuance. They obtain preliminary ratings from all agencies, and then the agencies providing the highest ratings are selected to rate that transaction. Since agencies get paid only if they are selected to rate the deal, they have an incentive to provide the highest rating possible, which creates the conflict of interest. The Franken amendment solution seems to address this conflict. However, it addresses the wrong part of the problem. The real problem is not that the issuers want to get the best ratings possible. It is rational behavior for any issuer to want to know what the economics of a deal will look like before proceeding, and want to get the best economic result from a debt issuance. Having a board to assign rating agencies could result in issuers not knowing till too late which agencies might rate their deal and what the economics of the issuance might look like. This will introduce unnecessary uncertainty for the issuers. The same outcome could also be achieved by simply prohibiting issuers from obtaining preliminary ratings. This will avoid having to create the bureaucracy of a new board, but will have the same undesirable consequence of uncertainty for the issuers. The real problem is that the rating agencies depend on issuers to select them to rate specific transaction for all of their revenues. Usually two agencies are selected to rate the transaction. They get paid, others do not. Keeping too high a standard means not being selected and not having any revenue. The higher ratings they can give, the more transactions they will rate and the more money they will make. That is the perverse incentive and the conflict of interest in the current system, that needs to be resolved. The problem is in the system which leads to undesirable outcome with people trying to be economically rational in behavior. 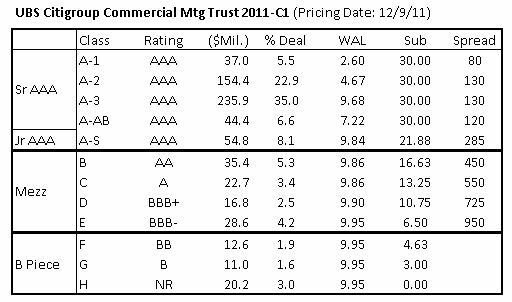 In some ways, this issue may become worse this time as there are many more rating agencies now competing than the three dominant ones in the past, and the overall structured finance issuance volume is much smaller. As one solution, SEC tried to promote unsolicited ratings from agencies that were not selected by the issuer to rate the deal. However, the due-diligence for rating asset-backed deals is expensive. Also, the rating agencies do not want to alienate issuers for fear of not being selected for future deals. So, unsolicited ratings have not been given. Another alternative idea talked about is to have the users of the rating pay for it. That approach faces criticism that all investors should have access to the same information, not just those who can pay for it. Also, investors generally do not like the idea of paying for ratings. Neither the Franken Amendment solution, nor the above two seem like a viable solution. One key problem, especially in structured finance transactions, is that it is expensive to perform the right amount of due diligence to rate a deal, and some amount of upfront payment may be necessary, which as a practical matter, will have to come from the issuers, leading us back to the existing business model. In an earlier article (Three Misconceptions about Issuer-Paid Ratings), I argued that this problem seems intractable because of three widely held misconceptions about the issuer-paid nature of the ratings. The biggest block is perhaps the third one – the belief that the “Ratings have to be either Issuer-Paid or Investor-Paid.” Almost everyone seems to think that ratings have to be either paid by issuers or investors. However, it does not have to be one or the other. Just a sufficient portion of the fee has to come from, or be driven by, investors to provide the right incentives. Should not add uncertainty for issuers. Should not require new bureaucracy of an SEC board specifying agencies to use for each issuance. Reduce dependency of rating agencies on being selected by issuers for all of their revenue. Give investors control of part of revenue. Allow rating agencies to provide ratings without having to worry about if they will be selected. Here is one solution that accomplishes all of these: Require an additional rating agency for each transaction. This agency will be paid from the proceeds of the issuance, just like the other two agencies picked by the issuer to rate the deal. However, this agency will provide the ratings after the transaction has settled. This will effectively achieve the same objective as attempts to get unsolicited opinions or ratings, but an agency will be hired and paid to do it to ensure the right amount of due diligence and quality. Also, to avoid the conflict of interest issue, the additional agency will not be selected by the issuers, but by investors. This can be easily achieved by letting the investors vote for the additional agency on a website maintained by the issuer’s underwriters. Websites are already used for transactions to share transaction information with investors, and it will be easy to add a page to let them vote on the additional rating agency. It will be important to include all investors in the voting process, not just those who purchased bonds in the deal, to avoid the conflict that may arise from investors wanting the best ratings once they have purchased the bonds. This solution does require the issuer to pay for one more rating agency. However, the cost is easily manageable and worth the benefit, and better than having an SEC board assign rating agencies. More important, it means that at least one third of the rating agency revenues will be controlled by investors, and the agencies are not completely dependent on selection by issuers. It gives them an incentive to do better work for investors, both in the initial ratings, and in the on-going monitoring of the deals. As I have suggested earlier (Rating Agency Reform: The Real Problem That Has Not Been Recognized), over time, everyone will be better off if rating agencies can move towards a subscription based model for at least part of their revenues. If investors have control over a significant enough portion of the total revenues of the rating agencies, investors, rating agencies (including their investors), and the entire financial system will benefit from the proper alignment of incentives that would be created. Note: The views expressed are solely and strictly my own and not of any current or past employers, colleagues, or affiliated organizations. My writings are simply expressions of my intellectual thought process. The intent is not to promote any particular view point or agenda, and the writings are not influenced by any other groups or individuals.